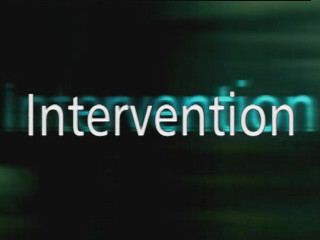 19th February 2012: Ending American Interventionism? Whatever policy the Obama administration or its successor adopts toward China, the broader East Asian region, unlike the Middle East, is filled with stable, and largely democratic, states. The United States does not have to defend liberty and justice there. Regime change, democracy promotion and nation-building will be off the table. So, for that matter, will war. Traub traces this trend through the Clinton administration’s humanitarian interventions in the Balkans and the Bush administration’s wars in Afghanistan and Iraq. The new Wilsonism of this period is now in decline, due to domestic and budget austerity pressures, Traub argues. The United States will rely on a range of grand strategic instruments — diplomatic, economic, informational — rather than just military force projection. Traub’s view contrasts with National Interest‘s Nikolas Gvosdev and Ray Takeyh, who believe the new Wilsonism is on the rise. In their view, the Obama administration has simply changed its declarative reasons for intervening in Libya (but not in Syria or Bahrain). Expect this debate to unfold — along with a parallel debate on the extent and scope of United States decline — as the 2012 election year continues . . .
Yale’s Charles Hill discusses his book Grand Strategies: Literature, Statecraft and World Order (New Haven, CT: Yale University Press, 2010). This Hoover Institution clip is interesting for Hill’s definition of grand strategy; his pedagogical philosophy in teaching the classics (and what approaches he rejects); and his discussion of several examples from Grand Strategies and Hill’s diplomatic career. Austin Bramwell at The League of Ordinary Gentlemen blog ran a three-part series (parts 1, 2 & 3) that was highly critical of Hill’s presentation. Yale’s Jim Sleeper also responded with a ‘civic-republican’ negative review of Hill’s book Grand Strategies in Foreign Policy Magazine which reads as inter-departmental warfare between the political science and history disciplines. I think Grand Strategies makes a well-argued point about literature’s role in an analyst or diplomat’s strategic education – and the examples could be expanded and further elaborated on. This is perhaps a clip to be re-watched using Robert Dilts‘ sleight of mouth patterns for framing, persuasion and changing beliefs. The full, original scene reveals that ‘layered’ grand strategy has strategic priorities, compartmentalised intelligence and operational plans — and expendable people. This excerpt on the Wayland-Yutani company’s plans to ‘weaponise’ the alien xenomorph has dialogue worthy of Machiavelli or Kissinger-style realpolitik. The scene illustrates the uncertainty of new weapons development and the tension between advisers and policymakers documented in Bruce Kuklick’s book Blind Oracles: From Kennan to Kissinger (Princeton University Press, Princeton NJ, 2007). For more clip suggestions, see my Spiral Dynamics Field Manual for Film Scanning (2003) and Spiral Dynamics of Cinema Studies (1998). The Lowy Institute also responded to Drezner’s list of grand strategy clips. While sometimes there are inevitable delays, Gillard has run a more efficient ship-of-state than her predecessor, leading me to believe that it is a disinclination for a centralised security office in PM&C that better explains the delays. This not only fits with Gillard’s lower level of passion for foreign policy than Rudd, but hopefully also a recognition that the system Rudd established didn’t work. The Rudd Government’s related foreign policy achievement was its 2008 National Security Statement which promised a regular NSS and budget. The Gillard Government has not acted on this promise. The missed reform opportunity was to develop a comparable mechanism to the US Goldwater-Nichols Department of Defense Reorganization Act (1986) which has mandated the White House’s regular NSS to US Congress. Rudd’s National Security Adviser had a coordination role but never the power of its US equivalent or the National Security Council staff. It is still unclear (to me) how the NSA role also interfaces with Office of National Assessment responsibilities for whole-of-government estimative assessments. Whilst Rudd had operational problems, as an ex-diplomat he understood the need for NSS reform; the need for a whole-of-nation grand strategy; and (possibly) the budget and resource allocation issues. He acted on a decade of national security debate, to move beyond the Howard Government’s emphasis on counter-terrorism, counter-insurgency and effects based strategy. PM&C may not be the appropriate vehicle for (centralised) grand strategy formulation. But devolving these responsibilities back to the Deparment of Foreign Affairs & Trade and Defence Department won’t necessarily help, either. DFAT remains underfunded for the diplomatic and economic challenges ahead. The Defence Department’s Force 2030 whitepaper (2009) continues to be debated and until Rudd’s NSS in 2008, the defence whitepapers were de facto national security policy. With the exception of the 1986 Dibb Review and the 1987 statement, the defence whitepapers have not fully addressed grand strategy conceptualisation. Both departments pursue their respective interests and instruments of power at the expense of a coordinated grand strategy, and at the risk of institutional capture. In contrast to the Goldwater-Nichols Act reforms, Gillard’s current (in)actions on the NSS, NSA role and annual national security budget suggests a different conclusion: strategy drift. Alternatively, it could just be Gillard’s rollback of Rudd’s national security initiative. University of Chicago political scientist John Mearsheimer gives an overview of United States grand strategy, its four major traditions, and current debates regarding the international order. Mearsheimer covers a lot of topics including Bush and Obama administration policies, and the realist debate about offshore balancing. I’m reading John Lewis Gaddis’s biography George Kennan: An American Life (New York: Penguin USA, 2011) at the moment. Gaddis is an expert on the Cold War and grand strategy: the coordinated use of a country’s diplomatic, informational, military and economic resources to achieve national aims. In this lecture at Princeton University on 30th April 2009, Gaddis explains what grand strategy is; the origins of Yale University’s grand strategy program (information and 2010 syllabus here); and considers the North Atlantic Treaty Organization’s expansion as a case study. You can read the talk’s transcript here. Yale’s grand strategy program has three strands. Classics involves immersion into the Western canon of Thucydides, Publius, Machiavelli, Clausewitz, Kant, Metternich, Churchill, Hitler and Reagan, and Eastern philosophers such as Sun Tzu. An Odyssey internship provides a praxis in metic intelligence and decision-making. Finally, the Responsibilities semester considers the contemporary grand strategies of Fukuyama, Huntington, and Zakaria; provides student-driven Marshall briefings on contemporary issues; and a crisis simulation exercise.